Second Home Studios and Stitchy Feet win Grand Prize at Seoul Promotion Plan Conference 2017. 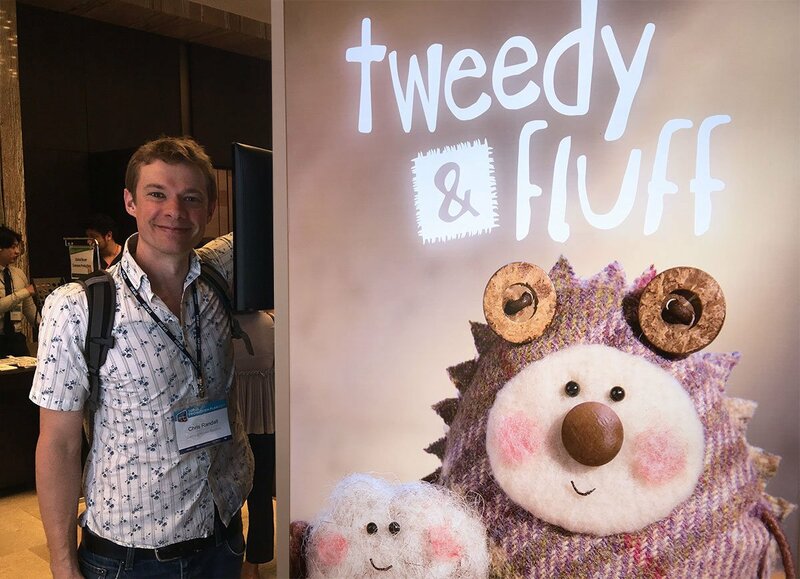 This summer we went long haul to the Seoul Promotion Plan conference in South Korea to pitch our series-in-development, Tweedy & Fluff. This is a pre-school stop-motion animation, created by children’s author Corrinne Averiss, with Cbeebies as its primary broadcast sponsor. The project was invited as a list minute finalist into the international pitching rounds and was unique both in that it was the only project from the UK and also the only stop-motion offering on the schedule. Chris Randall represented this co-production between Second Home Studios and Stitchy Feet, which is ostensibly about a child and their first pet. The 10 minute pitch involved a storybook-style start followed by a lighthearted tour of the characters’ world. There was also a reasoning for why, in such a busy world, a show which instils nurturing qualities is important for young viewers. There also featured some bespoke animation featuring the two main characters especially produced for the Korean hosts, which made a funny and fitting end to the presentation. The awards were announced on Thursday 6th June and Tweedy & Fluff was announced as the Grand Prize Winner. As well as a trophy, the show also received $15,000 USD which will go a long way towards further developing the project as it moves closer towards closing the necessary finance and a green light for production.